The Greek system, broadly speaking, is facing a number of serious challenges. You've likely seen them in the news or on your own campus. Recent months have seen the very sad deaths of four pledges in fraternities due to alcohol consumption and hazing. These tragedies have reignited scrutiny of bad practices that may happen in Greek life. Some schools are now taking a preemptive step in suspending all Greek life activity, regardless of any individual organization's behavior, to take a closer look at their policies and processes and to ensure they can support a safe, productive Greek system. While these events are recent, these challenges are old - we've long faced hazing, alcohol and drug abuse. There are other challenges too - sexual assault on our campuses. Diversity and inclusion. There is a continuing need to demonstrate that Greek life is a relevant part of college life and beyond. But, we are Phi Gamma Delta, and we face these challenges head on and with courage. We see this as an opportunity to lead and believe the need for Phi Gamma Delta, as a values-based organization, is greater than ever. Phi Gamma Delta and the fraternity system are at a natural inflection point. Our environment is undergoing major changes. Recognizing this, the Archonate considered deeply what's next for Phi Gamma Delta and, on June 10, 2017, adopted a strategic framework to carry us forward. Our path forward is a values-based strategy to achieve "Positive Impact". It is an outward facing focus on what we do for the world. There are four strategic priorities - 'must-win' battles - we have identified. 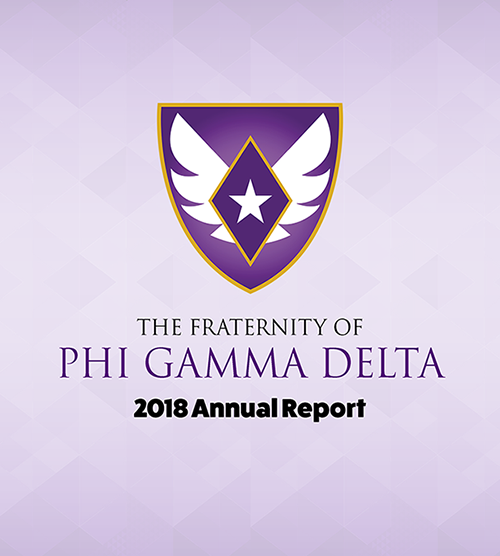 They are must-win battles because they will determine whether Phi Gamma Delta continues to grow and flourish, is full of meaning for our members and delivers value for our colleges and communities. The result of this transformation journey will be a Phi Gamma Delta that is reliable, interconnected, strong and empowered. Our work now is to actually move the Fraternity towards that better place where we want be. Value creation for our members, the college and community is the essence of our vision for positive impact. Value is what attracts and keeps members. It’s also what attracts and maintains relationships with university administrators, community citizens, campus organizations and other stakeholders who trust us to be reliable and who are critical to our chapters’ long-term success. To cause value to rise, we do not need to know precisely what maximum value is, but we must have an idea of 'better'. Our full potential is reachable only when we share a unity of purpose with a common and collective set of goals across the Fraternity. Fundamental to ‘Building Courageous Leaders’ is the concept of teaching brothers the “why” behind everything they are asked to do and not do. When members understand “why”, they become empowered to take responsible actions. Empowered brothers who are accountable to respect each person in their decisions and actions are far more likely to make good decisions when faced with testing points. Chapters with a solid accountability system in place and a high level of individual accountability have a culture of empowerment, where the full potential of every single member can be realized. Knowing and understanding the expectations of members is the overarching rule of an exceptional brotherhood. Chapter leaders and graduate advisors that possess this knowledge can align the chapter organization and brothers' hands-on experiences in a way that creates personal insight, development and a shift in mindsets and engagement. They shape the way our men think about fraternity to create positive membership experiences. A positive membership experience as a student is the key to having fantastic, flourishing chapters, abundant graduate volunteers and growing our graduate chapters. Expansion strengthens our resilience, flexibility and ability to adapt smartly to changes in the higher education environment. There are two elements to expansion: growth and development. Growth, in terms of the number of members and chapters, is an externally quantifiable change. Development is more qualitative, as it is a process of transformation in which complexity, infrastructure and excellence increase. Together they enable us to be an active and vital force, creating greater capacity and competitiveness for our chapters, broader influence in our communities, better brand recognition and increased ability to reinvest. 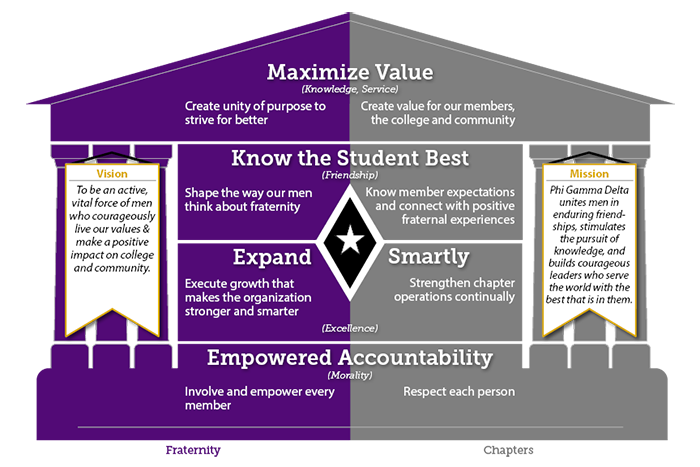 Do you know a brother who has made the choice to follow the values of Phi Gamma Delta instead of taking an easier path? Did they make the right choice instead of the easy choice? Did they take a firm stand when confronted with a challenge? These are examples of leading with courage. 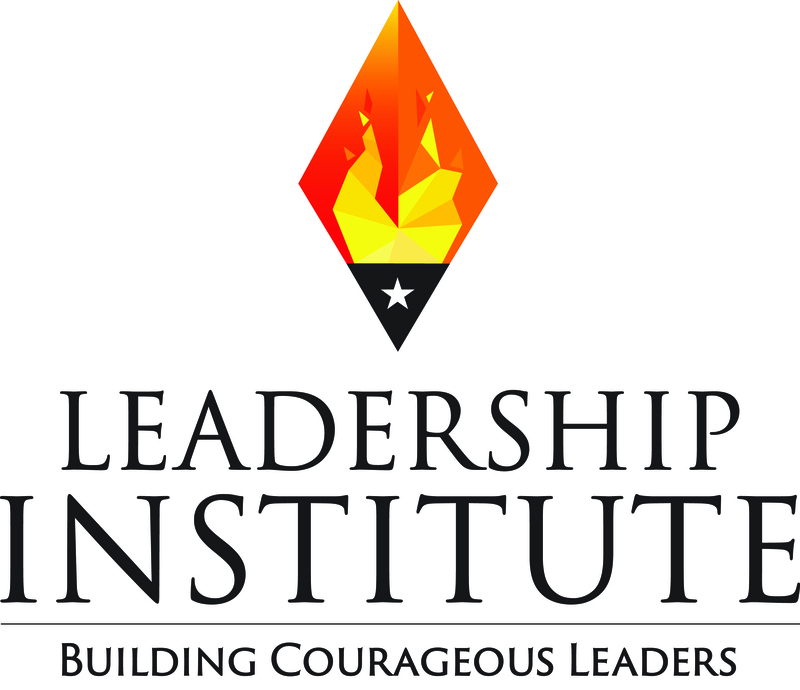 If you know someone who has faced a testing point and made the courageous choice, then please share their story of Courageous Leadership. Submit stories of Courageous Leadership for inclusion in an upcoming Good News Friday Letter or on social media (#CourageousFiji / #CourageousLeadership).